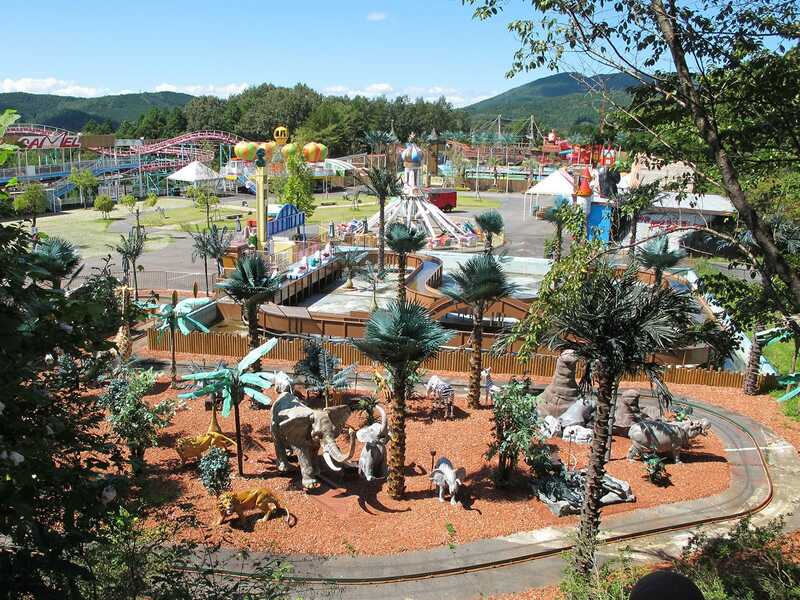 Enakyo Wonderland is a large park located a few kilometres away from JR Ena station. Though a little bit shabby around the edges, our overall impression was of a park running on a limited budget but aiming for absolutely top notch customer service. To that end, all attractions were open despite an almost deserted park; four staff members were patrolling their respective areas, ready to operate any ride that a guest might approach. The park operates on a pay per ride basis, but a special ticket is available for ¥2800 which includes admission and twelve ride coupons. This turned out to be exactly what we needed, allowing two laps on each coaster and one ride on all the other interesting attractions. The main attraction in the park is the Camel Coaster (#1682), a slightly rickety coaster from Senyo that was surprisingly good fun if a little unforgiving for taller passengers. The other significant coaster is Jungle Coaster (#1684), a smooth ride that can be thought of as Togo's answer to the ubiquitous Vekoma roller skater. The third credit is a slightly debatable ride and one which is likely to divide enthusiasts; Cycle Coaster (#1683) is fundamentally a cycle railway, albeit one with two lift hills, two gravity driven drops, a momentum-driven helix, and a momentum-driven climb back into the station. The photograph linked above shows the two drops, and the train does not valley in them even if riders are not pedalling; in short, it's a coaster. There are three walk-through attractions located side by side near the Camel Coaster. A fairly respectable Haunted House takes pride of place, but there is also an Ice House and a mysterious Egyptian-themed attraction that you may need to be Japanese to fully understand. On the far side of the park we also tried a ridiculously fast miniature Haunted Swing, a Shooting Dark Ride, and of course the oversized Ferris Wheel. 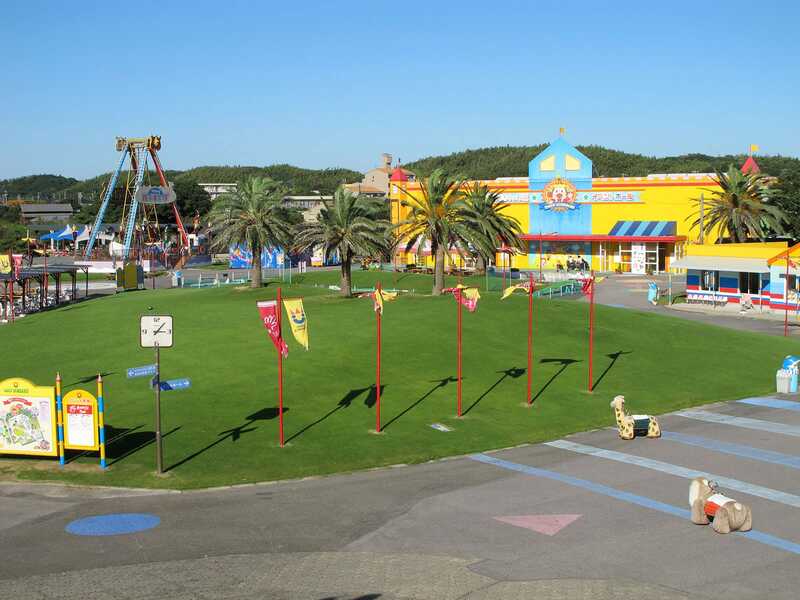 Minami Chita Beach Land is a fifteen minute walk from Chitaokuda Station on the Meitetsu line, and can be thought of as a cross between a Sea World park and Toy Kingdom. Those interested in animal shows might want to allocate half a day to the park; other enthusiasts can complete it more quickly. The train timetable left us with a choice of two hours or forty-five minutes, and as we were tired we decided to run with the latter. This was just long enough to take a thorough set of photographs and a single lap on the powered Sea Dragon Coaster.